Often we forget, or for many who have never learned, that Jesus Christ came, bringing salvation and a powerful grace, crying out some of His last words on the cross, “Eli, Eli, lama sabachthani?” (Matthew 27:48) When He cried out these words, He must have snapped the attention of every religious person in the crowd that surrounded the cross. For in these words we find Jesus “The” Christ fulfilling and actively carrying out the prophecy of Psalm 22, into Psalm 23, and with might and splendor Psalm 24. This Christmas I urge you to read Psalms 22, 23, 24 in light of this season. For Christ came as the perfect prophet, the perfect lover of men’s souls, the perfect sacrifice for our sins. Below is from chapter one, Conversion or Cessation, pages 6 – 9, of my book, Realities of A True Christian. We must realize that we were not saved on our own merit or simply because of a wooden cross, but rather there was something much more valuable given – the very blood of the spotless, sinless, Lamb of God was poured out because He willfully drank of the cup of His Father’s wrath – the wrath that was due to us. The nails, the whips, the scourging, the crown of thorns were indeed physically painful, greatly disfiguring, and should never be overlooked nor diminished, but this was not the pinnacle of what washed you and I clean. No. A greater price was paid upon Calvary. How was it that Christ became the worm and fulfillment of Psalm 22, paved the way through the valley of death in Psalm 23 and was able to say to the ancient doors, “be lifted up“, in Psalm 24? It was because Christ was crushed by His own Father for taking our sins upon Himself. And we must realize, not only was He crushed for our sins, but He became our propitiation and satisfied the justice of God. 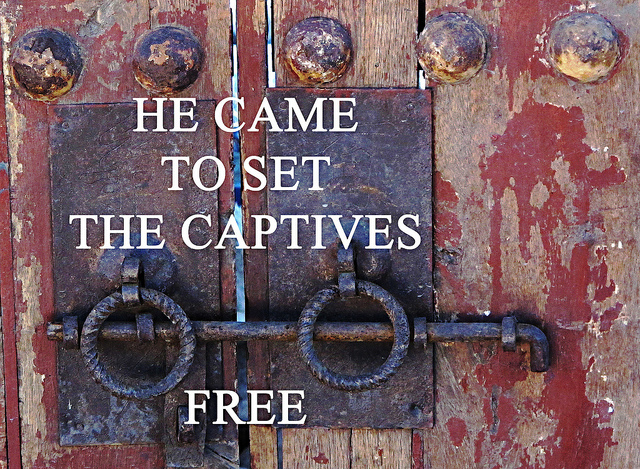 His ransom became our freedom; freedom from not only continuing in our participation of sin, but He destroys our desires and affections for sin itself; He gives us a new heart and writes His laws upon our new heart. For the true believer, He died because of the inherent depravity of the soul; thus your old nature was put to death. If you have been regenerated, then know that Christ was “despised and forsaken”; was “a man of sorrows and acquainted with grief”; He was “smitten” of God; “He was crushed for our iniquities”; “He was chastened for our well being”; “by His scourging we are healed”; our “iniquity” has fallen on Him; “it pleased the Lord to crush Him”; to put “Him to grief” and offer Him “as a guilt offering.” Almighty God crushed His own Son because of the rotten stench of our sinfulness. Jesus Himself said, “The cup which the Father has given Me, shall I not drink it?” Jesus Christ was the fullness of Deity unto us. Even with Christ suffering in such tremendous and unfathomable ways, God still has to ask us this day, “A son honors his father, and a servant his master. Then if I am a father, where is My honor? And I am a master, where is My respect?” Regarding our Savior, ponder these things: He was prophesied about like no other; He was born like no other; He displayed a passion for God like no other; He displayed sacrificial love like no other; He was just in His anger like no other; He suffered like no other; He died like no other; He rose from the grave like no other; He was holy like no other. If you are newer in the faith, know that following Christ will not cost you much – only your entire life. Suffering, persecution, anguish in prayer, and the denying of self is what is promised to you in the true Christian life, but oh what joy and peace there is in Christ. There is no greater reward in this life and in the life to come than walking in the narrow path with the God of all glory. Oh how Christ is to be the treasure of a true believer.